The whole point of this phrase was to get people to look at the things they ate and realize that there is a direct correlation between what you eat and your health. In 2012, we look at this and laugh…..isn’t this an obvious statement? Of course it is. When you consume garbage, your body becomes garbage. Fried foods, fat, grease, will congeal just like it does in your house pipes and stop up the whole work creating things like heart disease, stroke, etc. This is great for food…and most people get it, even thought they might not practice it. However, what most people don’t realize is that it’s the same with all things we consume. So what does consume mean – Dictionary.com says its to absorb, digest, or take into your body. Let us step back for a moment…digest does not just mean through your stomach. Digest means taking anything into your body through any of your 5 senses. 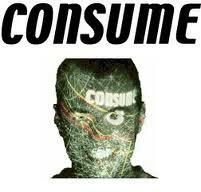 So to give us a working definition of Consume would be: anything we take into our body through our 5 senses. Whatever we consume through our mouth (food), eyes (what we watch and see), feelings (what we feel), nose (what we smell…BTW – smell memory is more powerful than any other memory we have), and our ears (what we hear) imprints onto our conscious and subconscious brains and create what and who we are and how we think. If consuming is so vastly important, then we should constantly be paying attention to what we are consuming on a daily basis. This is the beginning of a 6 part series (this one included) about how our consumption dictates how we act, feel, and react to life and everything that happens in our life. By taking notice of our daily consumption, we see that our daily consumption is one of the main factors that promote violence, lack of self-esteem, socialization, and gender inequality. 0-2 – Our brains are a sponge and everything we consume at every minute is imprinted on our brain as rules, laws, and reality. Our brain has none of the filters it will develop, and everything flows in without any checks and balances. 6-8 – We are entering a new era at this age. the filters have begin to be created, and our identity is starting to be developed. 11-16 – The only time in our life that our mind is as spongy as 0-2. The pituitary gland in in full working order, and it is lighting up our brain to imprint EVERYTHING we see, hear, smell, taste, and feel. This is learning times 100 during this age. The scariest part is that these are the ages that there is a phenomenal lack of human interactions, parental didactic training, and an increase in mulch-media influences. 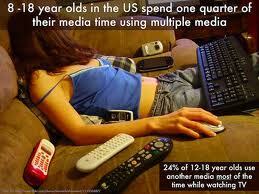 These are the ages when TV, computers, cell phones, etc begin to creep in and create realities! 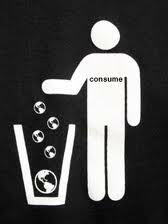 Consumption is the number 1 way we learn and become who we are. Humans are observational learners, that’s why we have lived as long as we have on this planet. This is why our scientific method (considered one of the greatest discoveries of human existence like the printing press) is our keystone of learning. By watching our consumption, we can recreate our minds and the way we see the world. By watching others how to control and change their consumption, they too can recreate their minds and change the way they see the world. When everyone sees the world in a different way – the world changes. Some truly great info , Gladiola I observed this. “‘Beauty is truth, truth beauty,’ — that is allYe know on Earth, and all ye need to know.” by John Keats. Eventually, the author make an update for a weblog. I used to be waiting anxiously for your own next update. I’m hoping you’ll consider updating often so your readers may possibly follow along. I do not have a lot joy in life today but your blog is one of them. I recognize life is busy but I truly hope you may take the time to maintain us modified on any progress.